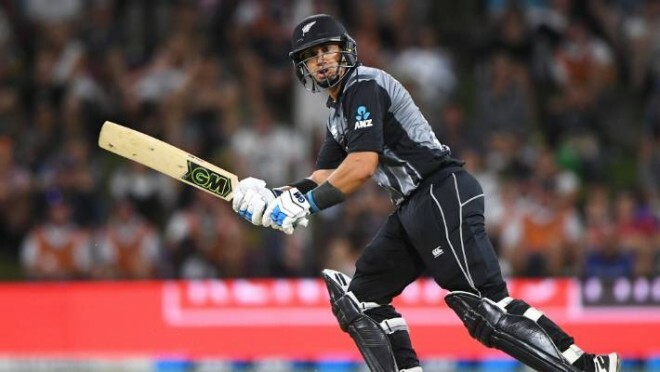 Dunedin, Feb 20: Ross Taylor became New Zealand's leading run-scorer in ODIs after he crossed Stephen Fleming's mark of 8,007 during the third ODI against Bangladesh in Dunedin. Taylor reached the mark in his 218th ODI appearance with a single to fine-leg off Mehidy Hasan in the 33rd over. Taylor's average is far superior to the former captain's too, helped along by the fact that he has had only four calendar years so far when his average was below 40. Since the start of 2017, he has been on a different plane as an ODI batsman, with five centuries and 14 fifties. Fleming's 7,172 runs in Tests, which is currently the highest for New Zealand in the format, is also under threat from Taylor, who needs 649 runs to get past the mark.